For those of you wondering how MoviePass is making money by allowing subscribers to see a movie every day for $9.95 a month, here is your answer; the service isn't profitable at all. In fact, things are so bad and the stock so low, that a couple of days ago parent company Helios and Matheson Analytics Inc. engineered an incredible 1-for-250 reverse split to get the stock price up to a level where funds could buy it. And on Thursday, members were having problems using their MoviePass card to check-in at theaters, although e-ticketing was still working. A tweet from MoviePass made it sound like this was a technical issue. But the truth, as revealed by an SEC document filed Friday, has to do with the company's finances. Today, Helios and Matheson Analytics borrowed $5 million in return for a Demand Note valued at $6.2 million. That is how desperate the company is. On August 1st, the note holder can demand $3.1 million back, and anytime after August 5th the holder can request the entire $6.2 million be repaid. The SEC filing says that the proceeds from the demand note "will be used by the Company to pay the Company’s merchant and fulfillment processors. If the Company is unable to make required payments to its merchant and fulfillment processors, the merchant and fulfillment processors may cease processing payments for MoviePass, Inc. ("MoviePass"), which would cause a MoviePass service interruption. Such a service interruption occurred on July 26, 2018 (italics added). In other words, the so-called "issues" cited by MoviePass' text were due to the lack of money in the company vault. But there is more. 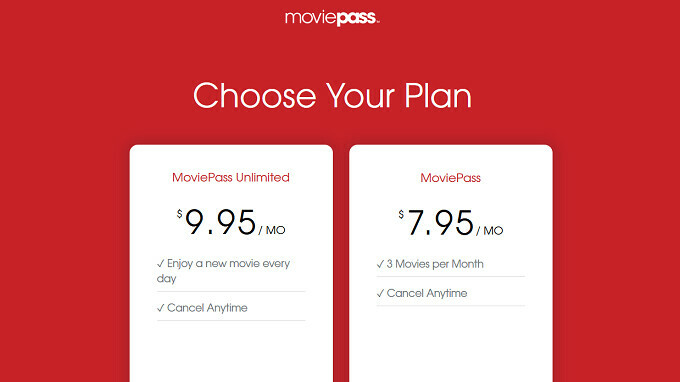 Follow this passage from the same filing: "MoviePass will execute a guaranty (the "MoviePass Demand Note Guaranty") pursuant to which MoviePass guarantees the punctual payment of the Demand Note, including, without limitation, all principal, interest and other amounts that accrue after the commencement of any insolvency proceeding of the Company or MoviePass, (italics added) whether or not the payment of such interest and/or other amounts are enforceable or are allowable and agrees to pay any and all costs and expenses (including counsel fees and expenses) incurred by the Holder in enforcing any rights under the MoviePass Demand Note Guaranty or the Demand Note. In other words, the company guarantees that it will repay the Demand Note including any money that is owed after the start of bankruptcy proceedings started by MoviePass or its parent company. If that isn't a sign of an impending bankruptcy filing, perhaps the 70% drop in Helios and Matheson Analytics Inc. shares on Friday will convince you. The stock declined $4.83 today to close at $2 a share. And mind you, that's after the recent reverse split. Soon, a box of Jujubes will be worth more than a share of stock. And that is important because the holder of the note is apparently allowed to use the unpaid portion of the debt to buy any additional shares sold by the company. But the lower the value of the stock, the more dilution current holders would experience, which partially explains the 70% drop today. Investors smell a bankruptcy filing which also explains the huge decline. If you have a MoviePass subscription, you should probably use it as often as you can this weekend because there's no guarantee that there will be a MoviePass by this time next week. They should raise the price to $25 per month for 4 3D/premium tickets. That is still more affordable than four regular tickets at the movie theater for people that go every weekend. The idea was a great one but at that price, the company could not expect to make much money. So if I pay $25, I have the option to go each weekend but most likely I would not and thus the company can slowly turn towards profitability. Maybe $25 is too low of a cost, but it is a little more than $8 or $10 which allows people to go more than four times a month. I think as a whole MoviePass did their job, pushing the market in a new direction. Paying $10-$16 per movie ticket was absurd.